If you have noticed eDealsPop.exe*32 process running on your system, there are basically no doubts that eDeals has infiltrated your system because this process is typical for the aforementioned program only. 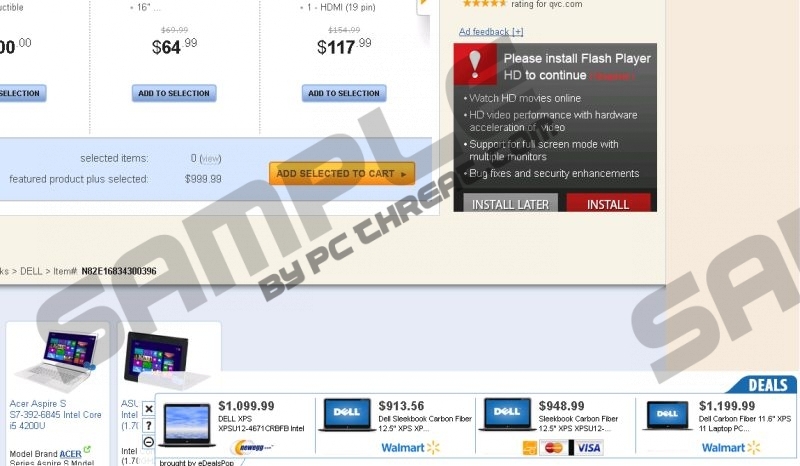 The research implemented by the specialists of pcthreat.com has shown that this program is responsible for various commercial ads on your screen; thus, this software can be classified as an advertising-supported application (adware). Unfortunately, these programs cannot be trusted, which is why we recommend that you remove eDeals without any further considerations. We believe that there is no point in keeping useless applications on the system; thus, we have prepared the removal instructions for you. Even though eDeals claims that it will help you to find the best offers and save money while shopping online, the truth is that this application just seeks to lure you into clicking on ads. Some of these ads might promote malware as well; thus, you should definitely ignore ads with a similar text: “You are missing or need to update your flash video downloader”. If you click on them and install the offered content, there are no doubts that you will cause danger to your computer’s security. Unfortunately, there is a possibility to click on ads accidentally as well, which is why it is advisable to delete eDeals entirely. Continue reading and find out the easiest way to get rid of this adware. If you decide to remove eDeals from your computer, you will also put an end to other suspicious activities like connecting to the internet without your permission and collecting information about your online behavior. All this data is collected in order to provide you personalized ads; of course, it does not mean that it is safe to click on them. Keep in mind that there are plenty of suspicious applications out there, which means that you should take care of your computer’s security in advance. One of the most effective ways to do that is to install a security tool on the system. eDeals is not a very serious infection, so it is not surprising that it can be eliminated via Control Panel. However, if it happens that these two words do not mean anything much to you, you should better delete this threat automatically. Actually, this is the easiest way to remove malware; thus, you will not experience any difficulties. If you have already invested in a trustworthy tool, for instance, SpyHunter, do not forget to keep it enabled all the time in order not to allow other suspicious programs enter the system. Quick & tested solution for eDeals removal.